Have you ever wondered what AC professionals are thinking, or are going to ask, when you are talking to them about a problem? Here is a glimpse – one that will help you know more about what may really be wrong and the solution which would be best for your home’s HVAC system. 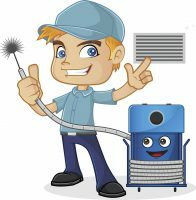 Your call is about a getting a price for duct cleaning: The HVAC professional will probably first ask how often your home’s ducts are cleaned, or when was the last time they were serviced. He or she will want to learn why you think the ducts got dirty in the first place, and about where they are located in the house. This means the professional may be concerned about leaky ducts. Your call is about purchasing an air cleaner: You will be asked what kind of issues you are dealing with: allergies, a dusty home, odors? He or she may explain that a tight duct system and a tight, well insulated, and properly ventilated home can reduce contaminants in the air, making your home more comfortable, healthy and safe, without extra equipment. You are wondering about replacing equipment: For first question on this call you will be asked “why?” Your AC professional will want to know whether your system is still working and just not cooling things down enough, or is your issue about soaring utility bills? What is really happening is the AC professional is trying to assess whether it really is the equipment that is at fault. In fact, it could be a leaky, dirty duct system. If you’re interested in learning about how current and potential problems may be solved by testing the efficiency of your home’s duct system, call Custom Climate Concepts today at 941-955-COOL (2665) . Did you know we are experts in professional duct cleaning?